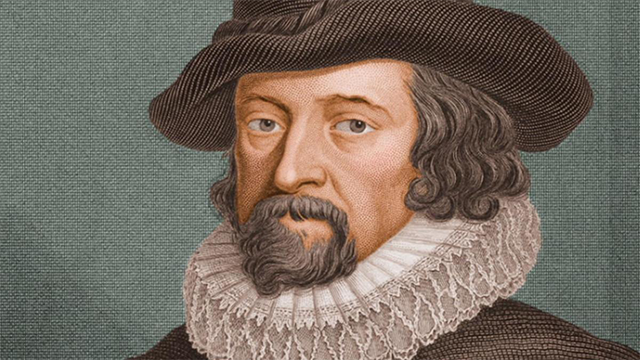 The Feast of Francis Bacon, Lord Verulam – Zero Equals Two! A lawyer, statesman, philosopher, and master of the English tongue, he is remembered in literary terms for the sharp worldly wisdom of a few dozen essays; by students of constitutional history for his power as a speaker in Parliament and in famous trials and as James I’s lord chancellor; and intellectually as a man who claimed all knowledge as his province and, after a magisterial survey, urgently advocated new ways by which man might establish a legitimate command over nature for the relief of his estate. The Rosicrucian organisation AMORC claims that Bacon was the Imperator of the Rosicrucian Order in both England and the European continent, and would have directed it during his lifetime. Some scholars believe him to be the author of some or all of the works of William Shakespeare. Author John Aubrey says that Bacon died of pneumonia, which he contracted while experimenting with the effects of freezing on meat. The story goes that he stuffed a fowl with snow and caught a chill at that time. In honor of this culinary experiment, here is a recipe that you might enjoy as part of his feast. Preheat the oven to 425° F. Rub the poussins all over with paprika and 1 tablespoon of the butter. Season with salt and pepper. Truss the poussins by simply tying the legs together with string. Set the poussins in a large, shallow metal roasting pan. Roast the poussins in the upper third of the oven for 1 hour, or until nicely browned and the juices from the cavities run clear. Meanwhile, in a small bowl, mix the remaining 1 tablespoon of butter with the flour until a smooth paste forms. Transfer the poussins to a large platter, draining their juices into the roasting pan. Pour the pan juices into a glass measuring cup and skim the fat from the surface: reserve 1 tablespoon of the fat. Set the roasting pan on two burners. Add the chicken stock and bring to a boil over moderately high heat, scraping up the browned bits from the bottom of the pan. Pour the stock into the glass measuring cup. Heat the reserved 1 tablespoon of fat in a medium saucepan. Add the shallots and cook over low heat, stirring, until softened, about 5 minutes. Add the liquid in the measuring cup and bring to a simmer over moderate heat. Whisk in the anchovies, mustard and flour paste and whisk until the sauce is smooth and slightly thickened, about 3 minutes. Remove the pan from the heat, stir in the herbs and season with salt and pepper. Pour the sauce into a warmed gravy boat. Cut the strings from the poussins and transfer them to plates. Pass the anchovy-mustard sauce at the table. Want to learn more about Saint Francis Bacon?